Starting May 29, 2017, there will be some changes to your CIBC Aventura Visa Card. The annual fee will become $0, but the earn rate will also decrease to 1 Aventura point per $2 spent. I have to say this card is not attractive any more with these changes. 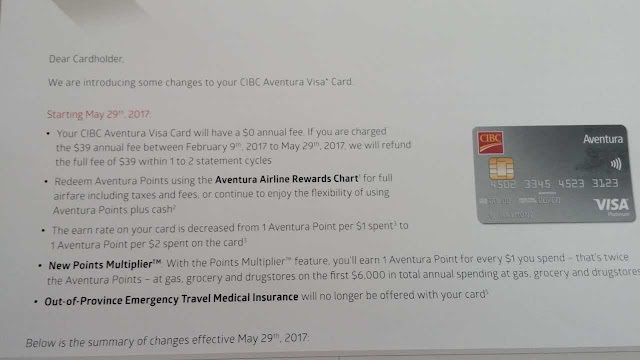 If you have chance, you can talk with CIBC and convert it to other CIBC Visa Infinite Cards (some of my friends already did it).